Evoking the work of other great Scandinavian directors such as Bergman and Dreyer, but with a uniquely joyous, exuberant touch, the 1987 Babette's Fest (Babettes gæstebud) is a tale of everyday passion – of the human capacity to create and to love – is a mouthwatering ode to the glory of life from one of cinema’s true originals. Directed by Danish born, Paris-based filmmaker Gabriel Axel, the film stars Stéphane Audran, Bodil Kjer, Birgitte Federspiel and Bergman regular Bibi Andersson. 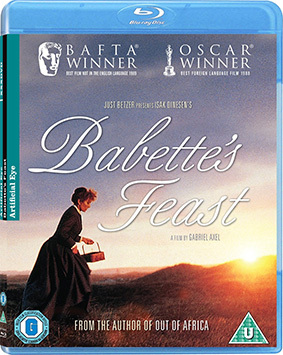 Babette's Feast will be released on Blu-ray and DVD on 25th February 2013 by Artificial Eye at the RRP of £19.99 for the Blu-ray and £15.99 for the DVD.